In the 1840s Britain grew wealthy on the sale of opium. It had been prescribed for decades in various forms by medical practitioners as countless remedies, usually in small doses. However, the narcotic was also abused, and created pitiful addiction for the users. It was legal to ship and sell opium anywhere in the British Empire, and most other nations too. 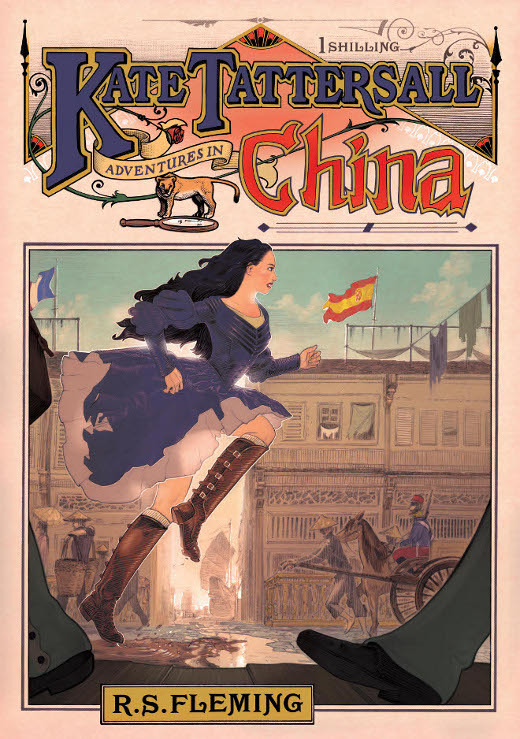 The reason for the boom in the 1840s was the opening of the largest market in the world; China. The drug was brought from British controlled India, and there were millions of addicts. In China opium possession was punishable by beheading. The Chinese Emperors had kept opium out of their land by restricting trade through just Canton and in limited amounts. The various European nations were only permitted to conduct business through this single port. The Emperors throughout the decades had insisted that goods were purchased with silver, forcing Britain to source the metal from continental Europe and Mexico. By the late 1830s Britain was greatly in debt to China mostly from the purchase of tea, but also silk, spices, and other products. Meanwhile, India was a money-losing colony, except for the sale of opium. 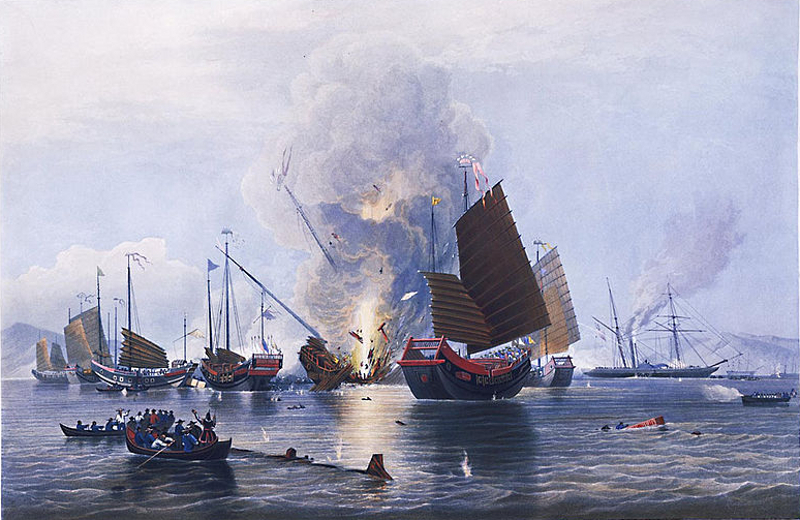 The ‘Nemesis’ (an East India Company iron steamship) along with several gunboats is shown here destroying an entire fleet of Chinese war junks at the Second Battle of Chuenpee, 1841, by E. Duncan. In 1839 Britain declared war (now known as the First Opium War) and, after several Chinese defeats, the Emperor was forced to open other ports. The Chinese navy and army could do little against the overwhelming fire power of the British forces. The drug trade boomed and England’s merchants reaped the profits, in particular the East India Company. 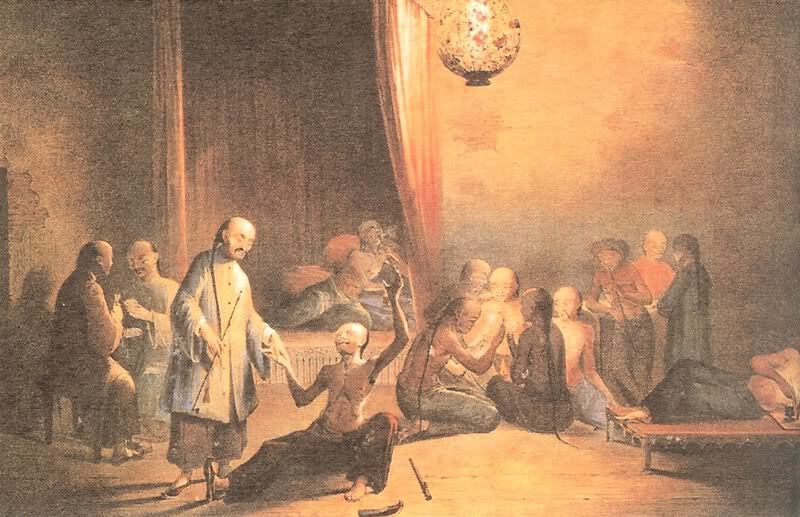 Opium abuse filled the government coffers through taxation on processing and shipping. By 1850 the throngs of addicts in China led to a violent uprising by the people who wanted to overthrow the Emperor and chase the foreign influence from their land. Known as the Taiping Rebellion it lasted fourteen years, coincided with the Second Opium War (1856-60), and killed about 20 million, making the American Civil War seem tiny in comparison. 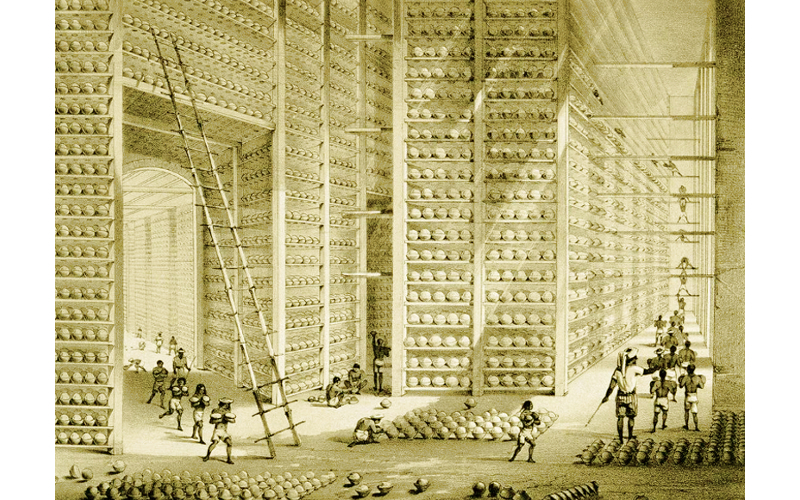 A typical East India Company opium warehouse, mid 1800s. Note: China didn’t retain the monopoly on tea. Stolen seeds were planted in Darjeeling by Dr. Archibald Campbell (1805–74) in 1841, and the East India Company hired Robert Fortune (1812-80), a Scottish botanist, to smuggle some of the plants from China to India. He was in China from 1848-51, often moving in disguise, travelling in areas forbidden to Europeans, purchasing the plants illegally, all crimes punishable by death. His covert operations led to the tea plantations that still thrive in India today. There is a native tea plant that grows in the lowlands of the Assam region of India, first cultivated between 1840-60, which also entered the market. A terribly dark chapter of British history. Only the slaughter in India might have been worse. It’s ironic that at the same time the House of Commons/Lords were passing laws to stamp out slavery world-wide, they were perpetrating these crimes and creating slaves of another form. I didn’t know this. A lot more people have to read this and understand this side of the story. It was a terrible trade. I’d like to learn more about it. Looks like an interesting book!